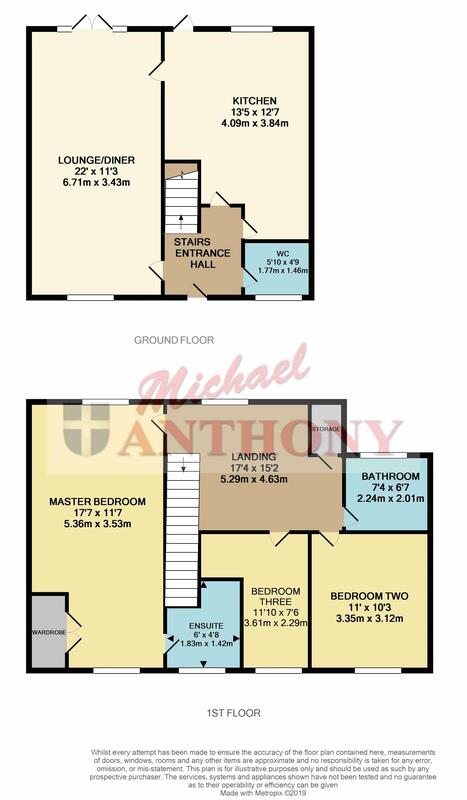 **** SHOW HOME CONDITION **** Michael Anthony are delighted to offer for sale this beautifully presented three double bedroom property situated within Broughton. On entering the property you are greeted into the entrance hall giving access to the guest cloakroom, dual aspect lounge with french doors opening up onto the south westerly facing garden, fitted kitchen with integrated appliances and a range of eye and base level units. The master bedroom is situated to the front aspect and is complemented by an en-suite, there are two further bedrooms, family bathroom and a storage cupboard. The property benefits from two years NHBC warranty remaining and is completed by a garage and private driveway parking for two vehicles. Call now to view 01908 393553.